We all know that in these days we are facing thousands of Credit card and Debit card fraud cases. Now time has come when we need to know about the proper usage of Credit and Debit Cards in various situations, so that we can save our hard earned money from fraudsters. In my previous post “How Credit and Debit Card Fraud Works”, i already guides you how actually Credit and Debit Card fraud happening in these days. 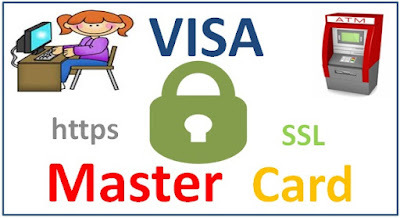 Now in this post i am going to guide you how you need to use your cards to avoid any fraudulent activity. I will share here some safety tips with you based on various situations to avoid Credit and Debit Card fraud. 1. At ATM’s don’t allow anyone to enter with you or to help you when you are operating the ATM machine. 2. When entering your information through keypad or touch screen keyboard just place your other hand on it to avoid capturing your information through hidden cameras. 3. After completion of the transaction ensure that the welcome screen is displayed on the ATM screen. 4. Always register your mobile number with the bank, so that you get alerts for all your transactions. 5. Always check your card should returned by the merchant after completion of the transaction. 6. Never write ATM PIN’s on your card or anywhere else. 7. Check for any extra devices attached with the ATM Machine, it might be a hacking tool (Skimming Device). And if the ATM looks damaged beware there might be a skimming device. It’s best to avoid this kind of ATM machines. 1. For online Credit and Debit card transaction use only safe, well known and authenticate websites. 2. Use websites that are SSL (Secure Sockets Layer) verified. The SSL verified websites will appear with a lock sign (generally green) in the left side of your browser’s address bar. 3. 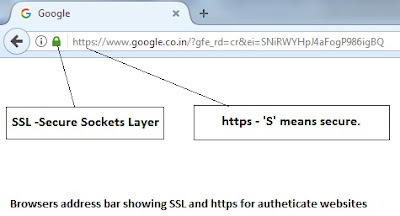 Check if the website uses the https protocol instead of HTTP. Https is a secure one. You can check this through the address bar on your browser. 4. Also you can check if the website is using any payment verification tool like; “Mastercard’s SecureCode” or “Verified by Visa”. These tools ensured authorized transaction and privacy of your information. 5. Never save your card details on any website even for a trusted one. Never check on check-boxes that agrees you to save your card details. 6. Always use a secure and updated browser like Firefox, Google Chrome or Internet Explorer. And when you are leaving the website don’t forget to log out from your account. 7. Never save your Id’s or Passwords into your browser. Especially for online banking sites. 8. Use virtual keyboards when entering your card details to avoid keystroke logging. 9. When entering important card information like PIN’s or CVV makes sure it is hidden by asterisks. 10. Avoid using public wifi especially when you are making an online transaction. 1. Install virus protection software’s on personal computers. 2. Never disclose your card information to anyone. And do not response to any emails, calls or SMS’s asking for your card information. 3. Regularly check your bank statement, so that you get aware of all the transactions that happen on your account. 4. At shops or POS (Point of sale) don’t allow the merchant to take your card away from you, where you cannot able to see your card information might get tempered. 5. Never sign any blank receipt. 6. Use EMV chip-based cards, which is a smart payments cards and provides better security. 7. If your card gets stolen immediately report it to your card company or bank authority, they will block your card and will issue a new one. Note: Never share your card details with anyone not even with the banks. The card is your property and it is totally confidential to you. Banks or anyone else never ask for your card details. If you get any fake call, SMSs or emails asking about your card remember, they might be the the fraudsters trying to reveal your card information. If you are facing these kind of problems immediately contact your bank authority.